The average cost of annual tuition in the United States range from $3,131 for community colleges and 29,056 for private four year institutions. In fact, the most expensive university charges $51,008 on tuition fees alone. It’s no wonder a lot of people look for ways around paying huge amounts of money for their degrees. College Level Examination Program or CLEP is one of the options a student has to get that college credit, and there are over 2900 colleges that grant them. Every institution will set a minimum qualifying score for CLEP exams. If you reach the required score, the institution will determine the credits it will award the student. It is commonplace for these institutions to place this information on their CLEP policy, so be sure to read this first. While each institution may have their own standards and metrics for their CLEP, these are the basic standards. Upon passing the exam, students can be awarded up to 12 credits. There are some colleges that place a limit on the total credits that a student may receive. On the other hand, there are also some that grant exemption, but no degree credits. Each college have varying qualifying scores for every exam. These scores are commonly published in their general catalog or brochure, indicating the scores that they require in order for the student to earn credits. If the exam is connected to a course. Some colleges will not credit your CLEP exam if you have already attempted to take a course that is directly related to the exam. If you have already failed in a similar course. In some cases, the college may even not permit you to take the CLEP exam for that particular course. Students are allowed to repeat a CLEP exam given that six months have already passed since the first one. Retaking the exam before the six months has passed could mean a forfeit of test fees and results. Before you even start studying for your exam, you first have to check the institution CLEP standards. Find out what credits can be earned, and other factors that may affect the test, the results and credit that you may receive. If you’re looking to go to college to finish your degree in a field that you already have some experience in, you might want to check into the CLEP, or College-Level Examination Program. This is an exam-for-credits program that is run by the College Board, the same company that designed and provides the SAT’s and the AP’s. By successfully testing out of training that you are already acquainted with, you can save a lot of both cash and time on your degree. 1. Who are they for? The CLEPs are usually recommended for learners with some real-world experience in the subject they are being tested on. Army members, those who have served internships and those who have developed on-the-job skills make strong applicants for getting credits through exams. It’s essential to know beforehand that the assessments are usually identified as being pretty challenging, so you’ll want to ensure that you have an excellent knowledge of the subject, or you’ll end up wasting cash on the test and then having to take the course anyway. 2. How much do they cost? Each test is $80, obviously more affordable than a college course, but it can add up if you’re trying to test out of a lot of topics. While the CLEPs are definitely a less expensive choice than a conventional college course, this is certainly not a simple way out of college sessions. If you don’t have a strong knowledge on the subject, it’s probably not suggested to try testing out of something that is required knowledge in your field. 3. What colleges and universities accept them? While the College Board indicates that CLEP credits are approved by some 2,900 colleges and universities, it might be of interest to note that there are about 4,600 degree-granting organizations in the U.S., which means there is a very excellent possibility that your university won’t take these credits. Many of the top U.S. educational organizations have ceased getting these credits completely and many more have put a limit on the number of credits that you can get in this way. The best way is to check out your college or university’s web page and look for details on Credit-by-Examination. If they don’t have it posted, you can get in touch with the registrar’s office and they should be able to help you. The College Level Examination Program is an arm of College Board, which provides a way for speeding up the completion of college courses. Based on the institution’s guidelines, CLEP assessments can help learners generate college credits or postpone certain specifications if they have already designed proficiencies in certain subject areas. Here are some steps to adhere to help guide your approach. 1. Check out the CLEP website – Now that you have read through the CLEP website, it’s a chance to find out which test(s) you should take. On the home-page of the CLEP website, there is a “Search Institutions” bar. Do this! There are 33 CLEP assessments available, but each college/university has a different approval policy. You do not want to take a test that will not be accepted by your college/university. Instead of getting the test, save the $80 and put it to good use elsewhere. 2. Verify your facts – It is not sensible to make presumptions about college policy based on third party information. Now that you are equipped with some baseline details, cross reference it with your institution’s course catalog and double check the registrar’s office to make sure the details found on CLEP web page is up to date. 3. Get ready for the test – When taking CLEP assessments, it’s important to plan in advance. It does not appear sensible to get $80 and not know what you are getting into. The College Board provides several 100 % free resources, many of which can be found in the internet. 4. Sign-up for the test – Registering for a CLEP test is probably the most convenient part of the process. Not every college will promote their CLEP policy where it is readily available. CLEP tests can help learners facilitate their course completion, which could result in less income for the college, a fact that some organizations would like to cover up. CLEP tests can also be an affordable solution to taking summer classes, but it all depends on the college’s policy. Every university student goes through times where life is beyond stressful and preparation seems to be limitless. Fortunately, there is a way to cut down your to-do list during the term. 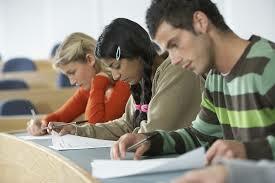 College Level Examination Program (CLEP) is a group of standardized assessments designed by the College Board. These assessments allow students to take college-level examinations with the chance of “CLEP-ing” out of getting a semester’s worth of a particular class. 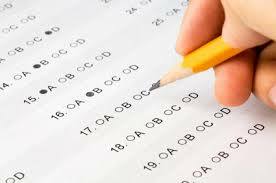 Students can take CLEP tests at most community colleges. 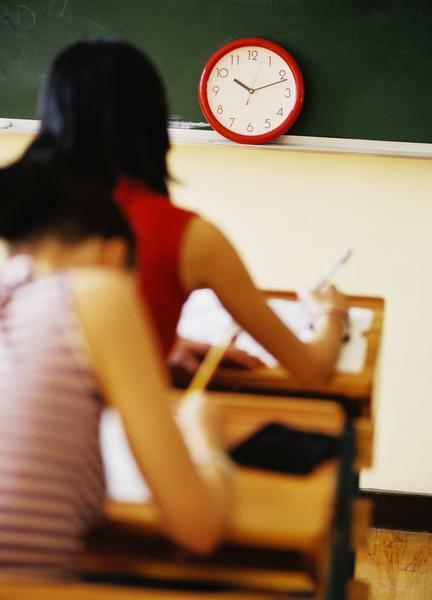 Each test costs around $100, which is much less costly than getting a class for a complete term at a private college. They are also much simpler than investing 15 weeks seated through a class. CLEP tests are pass-or-fail and you have a chance to study before getting the examinations. “I only tested for four times for Humanities; it was worth it because I do not have to take Imagination In Culture,” sophomore Garret Todd said. CLEP assessments usually cover pre-reqs and primary classes such as basic math and Writing in Culture. They also cover some electives. “I heard about it through buddies,” senior Joshua Kauzlarich said. “I researched it and heard I could really reduce my schedule for my last term. Not only that, but I could save a reasonable sum of cash.” Taking CLEP assessments allows students to reduce expenses and reduce their university load considerably. “Next term I only have Wednesday and Friday sessions,” Todd said. He took two CLEP assessments, Humanities and Analyzing & Interpreting Literary works, for six credits each. Kauzlarich took the Humanities test as well. “CLEP assessments are excellent because they provide you a chance to reduce your course load as well as offer a probability to obtain extra credits and graduate early,” sophomore Bieber Geerts said. Geerts says he plans on taking CLEP assessments because they are a much better substitute to a regular term of a basic course. Kauzlarich said he would suggest other students to look into getting CLEP assessments as well and that he would have taken advantage of them early in his college stint, but he is too far into his educational plant to exchange any more credits over from CLEP assessments. 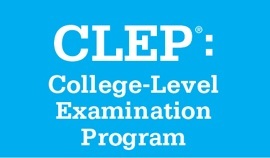 CLEP stands for College Level Examination Program. This method consists of consistent assessments of college-level proficiency in a range of subject matter. Many universities in the United States grant course credit to learners who make high enough scores on CLEP exams. High-achieving kids are typically the heaviest users of the CLEP program, but it can be very useful for older learners who have accumulated information through their job, learners who are house trained and even international learners. The price of a CLEP examination is generally far less than the price of getting an equivalent college level course. Students who are house trained must often demonstrate to universities and colleges that they achieved a level of proficiency in certain subjects despite not having joined a traditional university. This is sometimes true even if the college student does well on the SAT or ACT. Picking a CLEP test for each core topic is a fantastic way for house trained learners to show their skills and information while simultaneously earning college credit. Just because you haven’t been in high school for several years doesn’t mean you have stopped studying. Many adults returning to school successfully generate college credit through CLEP exams. This is a huge way to save your time and effort when it comes to seeking a degree and at an average price of $80 per CLEP test, it’s a big cash saving as well. If you’re an adult who has continued studying on your own or for employment or other purposes, it is definitely worth your time and effort to check out CLEP eligibility. The price of higher education and studying has risen much faster than the rate of inflation and many learners graduate with lots of cash in education and studying loan debt. When you consider that the common college degree costs around $700, compared to around $80 for the common CLEP examination, it’s easy to see how valuable this program is. Don’t think that CLEP is only for kids. People from every walk of life can benefit from the program. It is a fantastic way to get your degree quicker and to reduce costs on the price of your education and studying.